Taco night is a great way to feed the family or a crowd without too much fuss. Here’s another filling that will help take your vegan and vegetarian offerings beyond beans. Red lentils are quick cooking and have an earthy flavor that can be spiced up with chili powder, cumin and oregano into a filling for Mexican staples. This filling tastes a lot like traditional ground beef for tacos. Or, use it in burritos and top tostadas, too. If you’re serious about finding local foods, look for lentils that were grown on the Palouse of Washington or Idaho. Many stores will mark the bulk bins if the legumes were grown in the area. Lentils might not look like much, but they are packed with protein and fiber, along with folate, iron, phosphorus, magnesium, zinc and potassium, so they make a great meat substitute. This recipe is easy and forgiving. 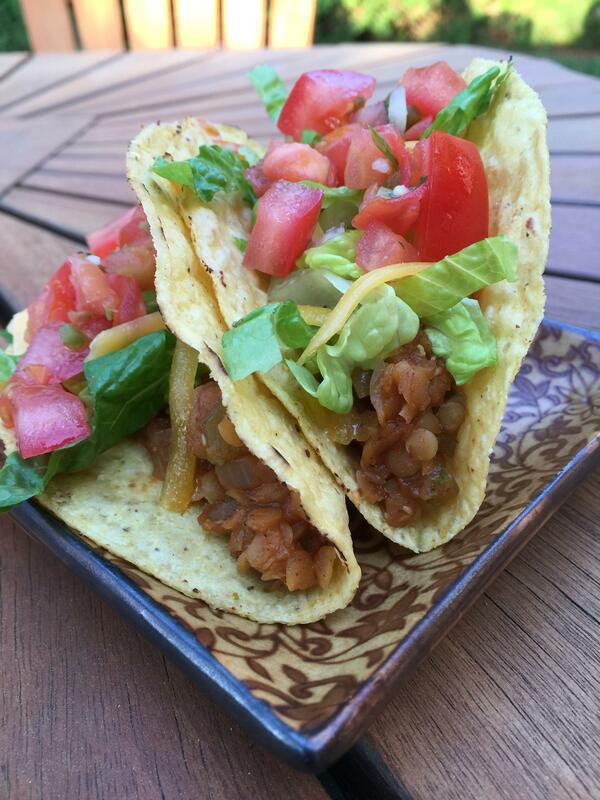 It was given to us by a friend who learned it from her ex-boyfriend, so at her house and ours they’re called “Ex-Boyfriend Lentil Tacos.” We’ve served it on the taco bar alongside all the traditional meat fillings by keeping it warm in a slow cooker. Sauté onions, celery and garlic in olive oil for 5 minutes. Stir in lentils, chili powder, cumin and oregano and cook for 1 minute. Add vegetable stock. Cover and cook for 15-20 minutes (more water or stock might be needed) or lentils are tender. Remove lid and cook until thick, about 5 to 10 minutes. Stir in salsa and serve.